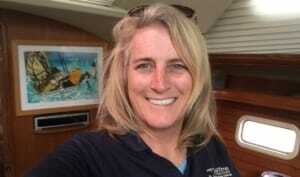 Kim Walther is a sailing instructor at St. Augustine Sailing in Northeast Florida. 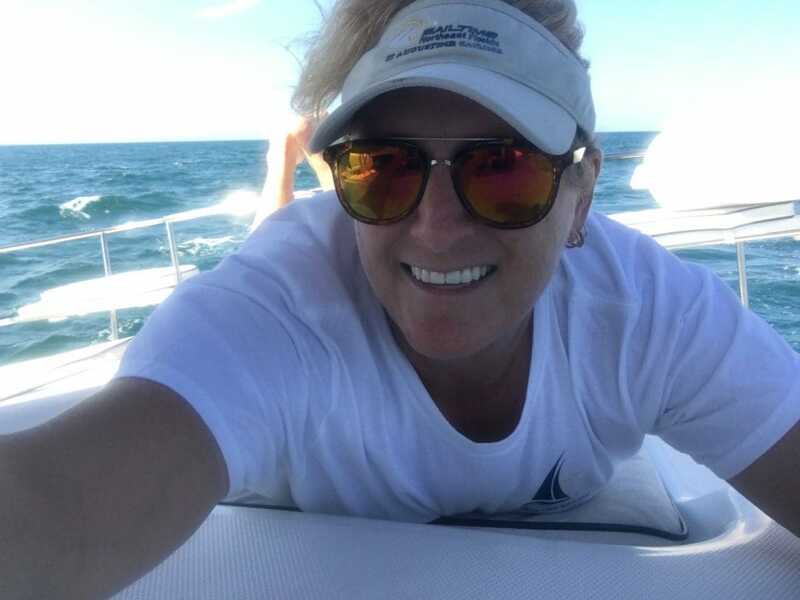 Her passion for the ocean and sailing comes through in her writing on her lifestyle blog Deep Water Happy where she shares tips on everything from sailing to travel to healthy living. 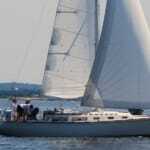 She has a self-proclaimed obsession with the outdoors and has sailed the east coast from Maine to the Caribbean. If she is not racing with the St. Augustine Yacht Club, she is teaching ASA sailing courses or she is diving, or running, or cycling. In other words, you can’t stop her. 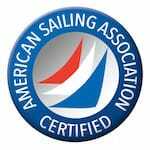 ASA: What got you into sailing? Kim Walther: My family sailed the Bahamas every summer of my youth – it was just what we did. I have never known life without sailing. Then I sailed summers in Maine, then worked in the Bahamas and BVI on private yachts and charter boats, then started sailing for St. Augustine Sailing running charters and teaching sailing. ASA: Your most memorable student or class? Kim Walther: A couple of my most memorable students have had really amazing stories. While students probably think I’ll remember that they are the ones who accidentally gybed in the inlet, or missed the pier while docking; the students I remember the most are the ones with incredible stories. One recent student, Ava, is a retired janitor whose son purchased a boat and took sailing classes. She said she had taught him how to drive, and now he was taking up a new skill, so she wanted to make sure he was “doing it right!” She was there every step of the way. In preparation for her 101 sailing class, she actually took swimming lessons to overcome her fear of the water. On board our 22-footers, she initially was incredibly nervous about heeling the boat, but had a great time in class, met her goals, and accomplished volumes. Have you ever met anyone so brave and determined? Another memorable student was Joe. Although young, he had a heart defect, was not on a transplant list, and wanted to spend the rest of his time sailing. He took classes and even had to pause a few times while cranking in sails due to his heart condition. He purchased a boat, was placed on a heart transplant list and started working on the routine chores of boat ownership. The last time I saw him, he was happily solving an air conditioning challenge aboard. He was so happy to be “living the life,” of being a real sailor. Recently, he passed away on his boat. He was able to fulfill his dream of sailing and boat ownership, and I was so fortunate to get to be a part of his voyage. If your life must end; where would you want to be, and what would you want to be doing the moment it stopped? I’ve had so many memorable students; students who were scared yet wanted to learn, students who already owned boats and desired to increase their skill level, students who accompanied a more-interested spouse and ended up loving the experience… and even a few who realized sailing wasn’t for them. We’ve had celebrities and soccer moms and world-class athletes. Our sure-to-be-most-memorable students are coming soon; we are going to be teaching deaf and blind students from the Florida School for the Deaf and the Blind. We have an instructor who is ASA certified and teaches at the D&B school, and our affiliate owner has designed miniature 22-foot sloop models for the students’ tactile learning. I can’t wait to get these courses underway. Can you imagine how inspirational that experience will be for us and for them? 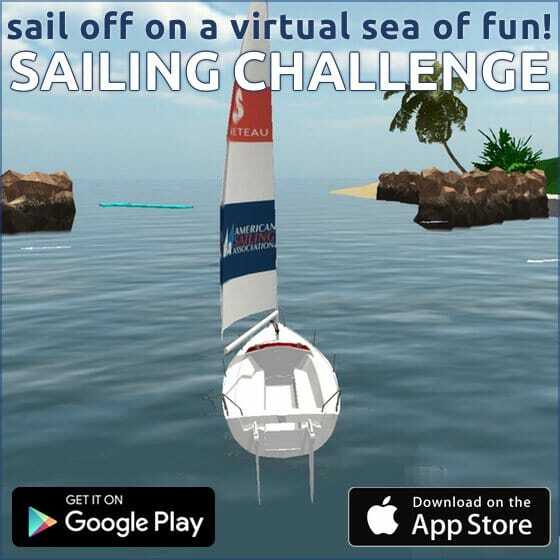 ASA: Your favorite place to sail? Kim Walther: Wherever the boat is! I’ve sailed the Bahamas and BVI, the East Coast Key West to Savannah and New York to Maine, West Coast Key West to Fort Myers, and South Africa. Each place I’ve ever sailed has its own attraction, challenges, and rewards. 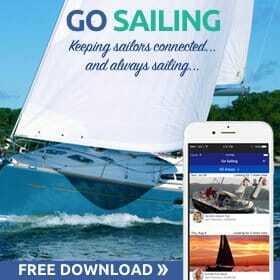 ASA: Why do you sail? 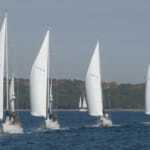 Kim Walther: I sail for the same reason I breathe, walk, write – I can’t imagine life without sailing. I sail to be independent, I sail to connect with nature, I sail to share it with others, I sail to elevate my mood, I sail to inspire others, I sail to celebrate, I sail to mourn. We had several charters on 9-11, right after the fall of the Twin Towers. Our charterer was an investment firm with many associates in New York. We sailed anyway, knowing that we would forever remember wherever we were on that incredible day. The skies were crazy wild; swirling, angry clouds, overcast, grey and moody. A pod of dolphins greeted us at the inlet with multiple leaps and surfacing to watch us. We reminded ourselves that there was good in the world, life would go on, and nature would prevail. 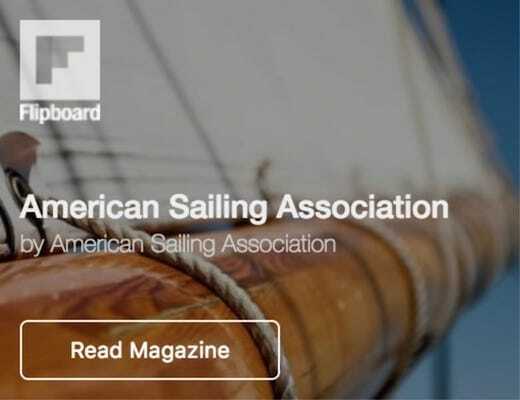 ASA: What do people not know about sailing that they should? 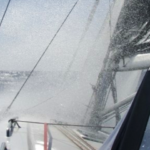 Kim Walther: A lot of what makes sailing successful and safe is preparation and planning. The more skills you acquire on a variety of topics, the better a sailor you are. Currently, I am taking a course in Tactical Casualty Care Training from Crisis Medicine. I hope to never have to use the skills I learn, however, there’s that cliche that no one plans to fail – they only fail to plan, and I like to be fully prepared. 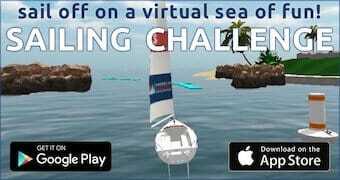 ASA: Why should people sail? Kim Walther: People should sail because the need to re-connect with nature is strong, and the ocean is enormous and waiting. There are so many destinations, the experience is unique, you meet great people, and yet, it’s the most peaceful, quiet, reflective activity. Disconnecting from shore stress and narrowing down your “important things” list is invigorating. Suddenly, winds, tides, currents, weather, sunrise, and sunset are some of the most important aspects of your day. Your reality shifts dramatically, and this is good mentally and physically. The exact same sail can be wildly different every day, and learning something new keeps us young at mind and heart. Learn more about Kim at her blog DeepWaterHappy.com, a Florida-based lifestyle blog designed to emphasize attainable and inspirational everyday lives with a special focus on the subjects of diving, cruising, travel, and lifestyle. Kim is so inspiring — in a boat and on her blog!